A MURDER INVESTIGATION has been launched after a woman was found dead at her home address in London, and her husband and two children were found dead in East Sussex. Police were called to a property on South Road in Twickenham at about 5.54pm yesterday, after concerns were raised about the welfare of the occupants. Officers attended along with the London Ambulance Service. A 47-year-old woman was found dead at the scene with stab injuries. 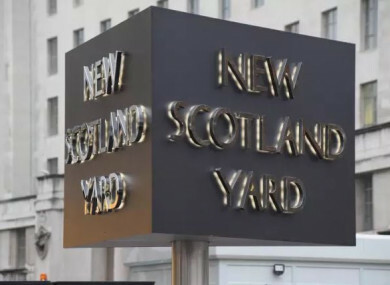 The Metropolitan Police said detectives quickly sought to establish the welfare of her husband, 57, and two children aged seven and 10, and carried out a number of urgent enquiries. Just before 5pm, the bodies of a man and two young boys were discovered at Birling Gap seafront, Eastbourne, East Sussex. Sussex Police later contacted the Met Police. Formal identification has yet to take place, but police believe that they are the deceased woman’s immediate family. A vehicle was recovered nearby by Sussex Police. A crime scene remains in place at the Twickenham address. Officers from the Met’s Homicide and Major Crime Command are leading the investigation, supported by colleagues in Sussex Police. Post-mortem examinations for all four people will take place in due course. Next of kin have been informed. No arrests have been made and enquiries continue. At this early stage, police are not looking for anyone else in connection with this investigation. Email “Woman found dead in London, husband and children found dead in Sussex”. Feedback on “Woman found dead in London, husband and children found dead in Sussex”.